After being encouraged by one of my artist friends, I decided at the last minute to enter this year’s Southwestern Watercolor Society’s Annual Members Exhibition. I selected three pieces of work that met their criteria, submitted the work, and hoped for the best!! I have just been notified that one of my pieces made it into the show…. WOO HOO!! The Awards Reception will be Sunday, September 20th (6-8pm) – Eisemann Center , 2351 Performance Drive, Richardson, TX. This year more than 139 artists submitted 326 paintings to this show. Only 75 pieces were selected so I feel much honored!! If you are able to attend the reception please let me hear what think of the show!!! 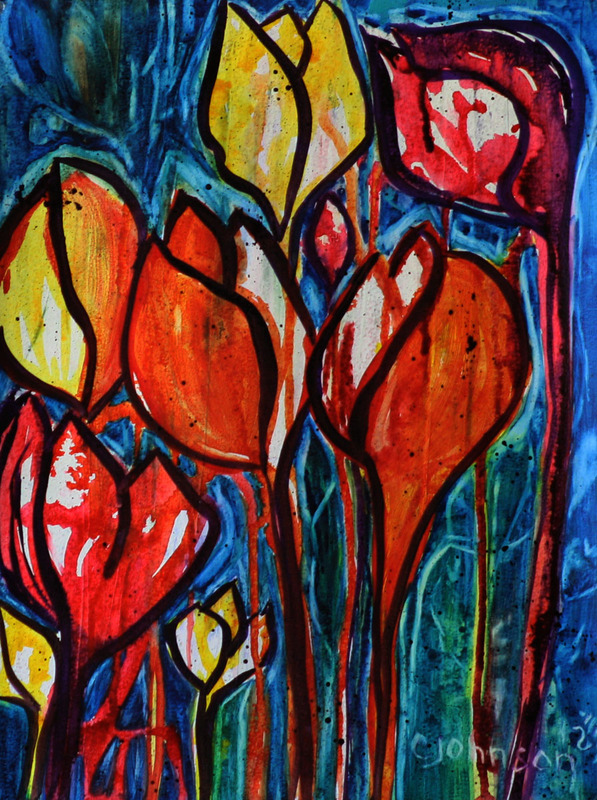 Be sure to look for my piece “Rainy Day Tulips” Hopefully it will be the one with the BEST OF SHOW ribbon next to it!! !